Ms. Lakshmi Nayar was born in Kerala, India. At the age of 7, her family migrated to Perth, Western Australia, where she resided until moving to Dallas in 1998. Ms. Nayar graduated from Murdoch University, Western Australia in 1997 with a Bachelor of Arts (B.A.) in Politics and Bachelor of Laws (LL.B) with Honors. In 1999, Ms. Nayar earned her Master of Laws (LL.M) from the University of Michigan in Ann Arbor, Michigan. Ms. Nayars’ interest in U.S. immigration law originated from her own experiences as an immigrant to the United States. After studying U.S. immigration law at the University of Michigan, she began her career in the immigration field in 2000 by volunteering at local non-profit agencies that provide immigration assistance to low income immigrants. In 2001, she joined a small immigration firm in Dallas and helped to develop it into one of the largest full-service immigration law firms in the state of Texas. 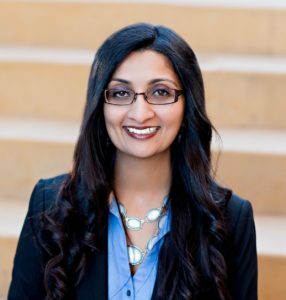 Prior to starting her own immigration law practice, Ms. Nayar was the managing attorney of this firm. During the course of her 19-year career in immigration law, Ms. Nayar has successfully handled a wide array of U.S. immigration and nationality matters. She has extensive experience with deportation defense (including cancellation of removal, 212(c) and 212(h) waivers for crimes, adjustment, de novo TPS claims, prosecutorial discretion and bond hearings), family-based immigration (including adjustment of status, consular processing, K1 and K3 visas, and I-751 conditional residency petitions), waivers (for fraud, crimes, health-related bars, unlawful presence and prior deportations), citizenship and naturalization, deferred action, nonimmigrant visas, NACARA, and humanitarian relief (including temporary protected status and parole). She also has a special interest in assisting immigrant survivors of domestic violence and other crimes obtain legal status in the United States (VAWA and U visa). Ms. Nayar is admitted to practice in New York and the Northern District Court of Texas. She is a member of the American Immigration Lawyers Association and the National Immigration Project. She is fluent in Malayalam. Please call 972-445-4114 to schedule your free consultation with Dallas immigration lawyer, Lakshmi Nayar.